2012-2013 R59 MINI Cooper Roadster Non S Performance Drivetrain parts. 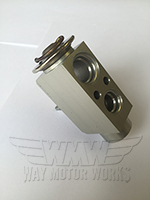 These include clutches, short shifters, hoses, cams, engine bushings, throttle controllers, and engine parts. These are manufactured by Cravenspeed, NM engineering, WMW, Sprint Booster, Forge, Helix, BSH speedshop, and Powerflex.